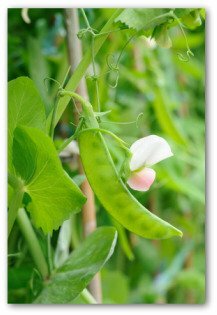 Tips on when to plant peas when vegetable gardening at home. Peas are one of the earliest vegetables that can be planted in the garden. How can you tell when it is time to plant peas? Planting peas at the right time can be tricky, as if the soil is too cold or wet at planting time, the seeds can rot, get a fungus, or grow very slowly if they sprout at all. When planted in warmer soil, the seed germination and plant growth are much faster. But if you wait too long for the soil to warm, the heat of summer will ruin the plants at the peak of their production! 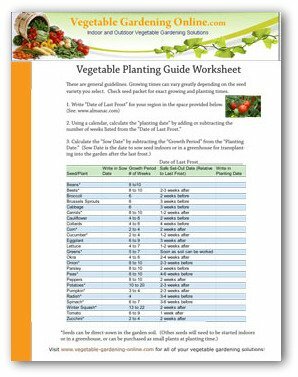 Download our vegetable garden planting guide. The best method for planting peas is to plant seeds directly in the garden soil. Peas are cool season vegetables and best planted in early spring in the North and during the fall in milder or warmer climate regions. Pea plants or vines grow and produce best when their roots are cool. The heat of mid-summer quickly ruins the plants. Peas can be planted as soon as the ground is unfrozen, and ready to work. However, the soil temperature should be 45 to 50 degrees F.
Peas can be planted outdoors 6 weeks before the last expected frost date. Some gardeners plant their peas as early as February, and cover the crop with perforated plastic. The plastic allows water to soak through to the plants, and also helps warm the soil more quickly. Many gardeners plant their peas in March, planting several crops 2-3 week apart. Then you are covered if one of the plantings doesn't grow because of too much cold or wet weather. Succession planting peas also extends the length of the crop harvest. The pea plants will not be harmed by cold or freezing weather. Excessive rain which creates soggy soil conditions can be a problem with spring pea plantings. My peas have "drowned" a few times here in the Pacific Northwest. It is important that peas be planted in well-drained soil. 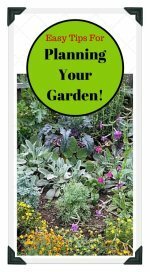 A raised bed garden is a good place to plant peas, as raised bed garden soil temperatures are a few degrees warmer than the ground temperature. Raised bed gardens are also usually well-drained, which is very helpful in rainy climates. The peas also need a few days of warm weather to help the sprouting process. Growing peas need something to climb. Some gardeners use their tomato cages for an early pea crop. Or you can use a trellis, fence, or tepee for your climbing peas. Sugar peas are a delicious, no-fuss selection for the vegetable garden. Their pods are just as tender and tasty as the peas. 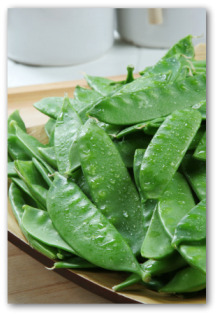 Chinese snow peas have crispy, juicy pods, which are much tastier than the undeveloped, tiny peas found inside the pod. With all these wonderful choices available, you need to know when to plant peas for a successful showing in your garden. The variety ‘Wando' is recommended for Northern gardens, as its seeds are cold tolerant, and the vines are heat-resistant. Sow 'Wando' about July 1 for harvesting in the fall. Peas can be harvested about 10 weeks after planting. English peas are ready for harvest when you see the round peas inside their pods. 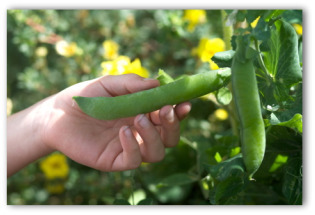 Snap peas should be picked while the pods are still flat. If you wait too long before harvesting peas, the pods will be tough. The more you pick the peas, the more the plants will produce. Now that you know when to plant peas, you can get to the best part; picking and eating in just over 2 months! The chief benefit of legumes, besides eating them, is that they add nitrogen to the soil. Their roots harbor bacteria and fungi which fix nitrogen from the air. 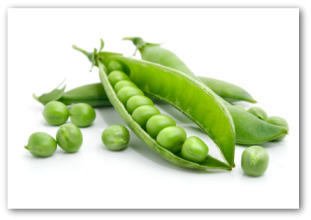 Peas may be grown on their own or mixed with other bean crops. Field peas grow to a height of 3 feet. 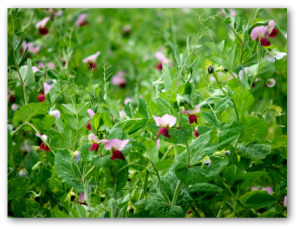 Any type of pea can be planted to add fertility to the soil. An example of a pea bred for the general purpose of adding fertility is a type of Maple pea called ‘Marathon'. 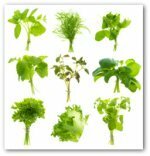 In the vegetable garden, it can be grown as an edible variety or a vetch. A centuries old tradition for knowing when to plant peas is planting by the moon. The phases of the moon occur in a 28 day plus cycle. Each month, there is a period of about 2 weeks, known as the first and second quarters, when the moon is waxing, or appears to be getting bigger. Toward the end of this period, the new moon becomes a full moon. After the moon is full, it starts to wane, or appears to be getting smaller. The two week long waning phase is made up of the third and fourth quarters. Technically, the soil is the warmest and the air is coolest when the moon is becoming full. Since cool air is denser than warm air, it holds more minerals. Soil that has fewer minerals in it tends to be lighter around a full moon, which in turn makes it easier for newly planted roots to become better established. During other phases of the moon, the soil is heavier, so there are less nutrients and moisture available to growing plants. If you are interested in vegetable gardening using the phases of the moon, use the following guidelines for knowing when to plant peas and perform maintenance. Prepare your soil. Plant crops such as peas that grow above ground. Hoe and weed garden. Fertilize your plants.